We started as mutual fans, then became friends, collaborators and more. It didn’t hurt that he was beautiful to look at. In late 1977, I overheard Tom Coster—the keyboard player for Santana—excitedly telling Pops what had happened at the Record Plant in Sausalito that day. When the band took a break, they heard a ridiculous rhythm guitar part coming from the room next door. “All by himself?” asked Pops. I never did make it down to the studio to meet “the kid,” but a few months later, in April 1978, I was at Leopold’s record store in Berkeley browsing through records when I looked up to see a new poster. It featured a beautiful young man with brown skin, a perfect Afro, and stunning green eyes. The word Prince was written in bold letters at the top. That was the guy Tom was talking about! Fast forward to September 17, 1978, and an Al Jarreau concert at the Greek Theatre in Berkeley. 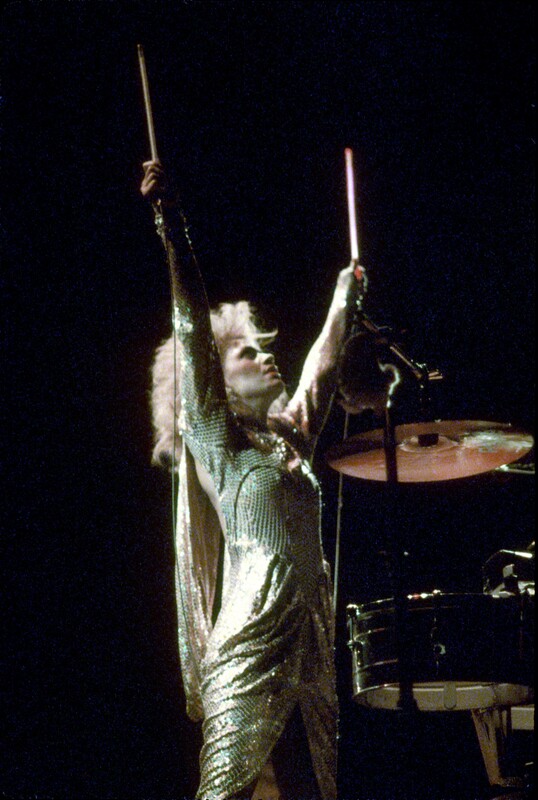 I was wearing my trademark platform boots, bell-bottoms, halter top, and of course no bra. I rocked my ’fro, my big hoop earrings, and lip gloss. I looked like Angela Davis, but I felt like Foxy Brown. I stood in the backstage corridor chatting with friends. The place was jam-packed with all the great Bay Area musicians who’d come to check out the show. Back then, everyone who was anyone played the Greek. It was the best outdoor venue around. When we heard the stage manager’s announcement—“Five minutes, Mr. Jarreau”—we all rushed to find a spot on either side of the stage. The crowd was pumped that balmy fall night. I heard a few people scream my name. “Look, it’s Sheila Escovedo!” I waved and smiled. It was fun being recognized. When Al hit his first note, we all went crazy. School was in session. I bopped on the side of the stage, ever the student, ready to absorb all of his goodness. That’s when I suddenly spotted a man leaning against the wall across from me on the other side of the stage. I knew him immediately. He was that guy, the one in the poster on my bedroom wall. And he was staring right at me. Our eyes locked, and… Wow! I’m not somebody to often skip a beat, but in that moment, my heart sure did. Only the previous night, before falling asleep, I’d stared at his poster, gazing intently at his striking hazel-green eyes. And now those same eyes, decorated with more eyeliner than mine, were staring right through me. I’d always thought beauty was an attribute reserved for women, but he was proving me wrong. I’d never seen a man so beautiful. Oh, Lawd! Help me, my mind cried out. He is fine. And he plays guitar. What? It’s over now. That day we exchanged no words, only eye contact. But for me, that was more than enough. I knew it was only a matter of time before we’d connect again. The next time I saw Prince was several months later when Connie and I went to see him play live at the Circle Star Theater in San Carlos, California. This theater in the round was another of the places to be. On any given night you could go there to see artists like the O’Jays, Gladys Knight and the Pips, and Diana Ross. Since I had played and visited there so many times, management hooked me up with tickets and a backstage pass. But I hadn’t thought to ask for a parking pass, so when we got there we spent half an hour trying to find a spot, ultimately having to park across the highway since the regular lot was filled. “Come on! Let’s go,” I yelled. I was so frustrated that we were missing the beginning, not only because I didn’t want to miss any of Prince, but also because as a performer myself, I really respected the totality of a show. Showing up late to anybody’s performance just wasn’t cool. We rushed in through the backstage entrance, and as we ran down the aisle toward our seats, the music, just like his record, was slammin’. I looked onstage and I could hear him singing and playing, but where was he? Where was the guy on the poster? I couldn’t for the life of me figure out which one was him. Was he the bass player? The guitar player? The fact that he played every instrument didn’t help me narrow it down. 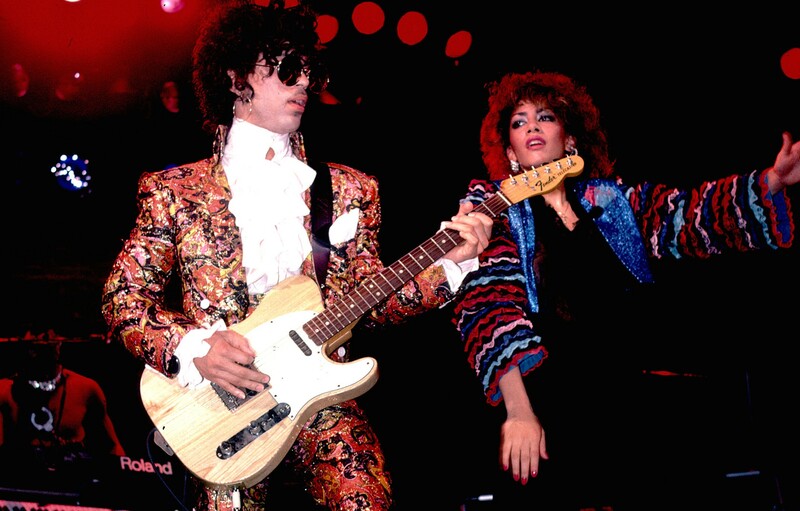 There was a second guitar player who I thought might be Prince, but that wasn’t him, either. And then I realized he was the guy on lead vocals singing “Soft and Wet”—that wild and crazy black man with long flowing hair, no shirt, thigh-high leg warmers, ankle boots, a short scarf, and a trench coat. Not only did he look totally different from how he’d looked at the Greek Theatre, but he looked totally different, period. His look was as unique as his music, and he was killing the stage. And while his performance was mesmerizing, I began to entertain thoughts about meeting him afterward. I hoped I’d finally get to introduce myself to the man on my bedroom wall. After the show I made my way toward the rear of the theater. I pulled back the black curtain, hoping to find somebody who could direct me to him, but that wasn’t necessary. There was his reflection right in front of me. He was looking in the mirror, slowly combing out his long, straight hair. Those perfect eyes caught mine in the mirror, and he gasped before turning around. I stopped and stared at his lips. Did my name just come out of his mouth? “I’ve been following your career for a while,” he added. Wait a minute. He’s been following me? I guess it made sense. I’d already released my first record with Pops and had performed on multiple records for other artists, in addition to being on national tours and television shows. It dawned on me then—I didn’t need to be nervous. I suppose I was a “somebody” before he was. He told me he’d watched me play drums with George Duke on Midnight Special and Don Kirshner’s Rock Concert. “Oh, really,” I repeated nervously, thinking that was pretty cool. “How much does George pay you a week?” he asked. I told him my salary. He walked me toward the dressing room and introduced me to the band. By the end of the night we’d exchanged numbers. In the ensuing weeks, Prince and I gradually became friends. We started out talking on the telephone, and then I invited him to come over and hang out with me. Signed by Warner Brothers as an artist and their youngest-ever producer, he never seemed to stop working. Whenever he came to town I’d pick him up at the St. Francis Hotel in San Francisco or at the studio. I’d proudly drive him all over the Bay Area, showing him the coolest haunts, the prettiest scenery, and my former houses and schools. We’d get sandwiches around Lake Merritt and doughnuts at the famous Colonial Bakery. Mostly, we’d chat for hours. 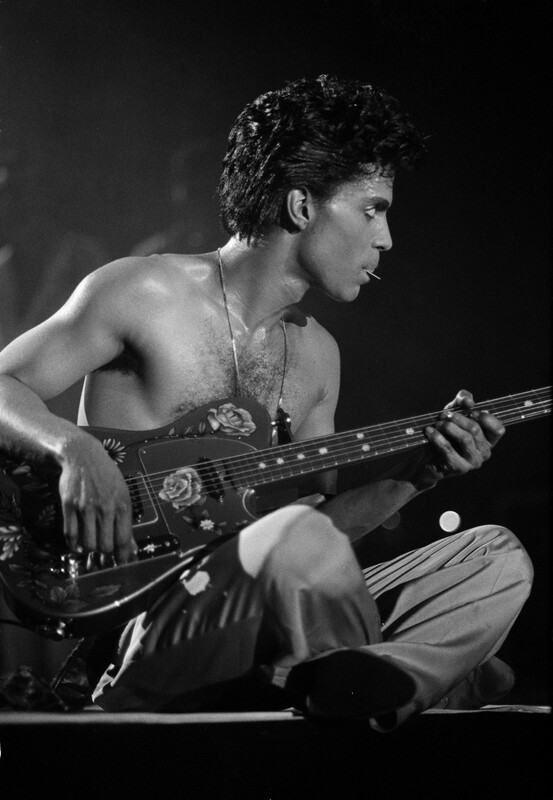 Unlike me, Prince was a multi-instrumentalist who had played just about every instrument you could think of from an early age. Plus, he could sing—I mean, he could sang!—and yet he had such humility about his talents. Of course I bragged to him about Pops and his band and how we kids would often sit in and play with him and his legendary friends. Prince didn’t believe it until he saw it—a father who plays timbales with his daughter and two sons. It was unheard of. “Prince of what?” Juan asked when I first introduced him. When Pops and my brothers saw how well he could play every instrument, they were pretty impressed. This man was a prince of music. He got along well with my family, and we welcomed him into our jam sessions. I liked that he showed so much respect to veterans like Pops. My new friend from Minneapolis was impressed by our Latin jazz sound and loved coming to our gigs or just jamming in the front room with our family band. For the next couple of years, as we each toured and I was getting over my split from Carlos, he and I would meet up whenever we could — but always just as friends. I’d been too deeply hurt by my last relationship to even begin to contemplate another, and certainly not one with another ladies’ man and guitar player. The cords that had bound us from the beginning, though, gradually drew us closer. We loved the same kind of music and shared a respect for each other’s talents. We were checking each other out—seeing what the other one knew. We would jam at the house where I still lived with my parents off and on, due to touring some two hundred fifty days out of the year. I thought it silly to spend money on a place of my own for such short stays. We’d hang out in my bedroom—which was a pseudo–recording studio—and jam for hours. The decor reflected my growing obsession with music. The walls and ceiling were covered with various posters I’d begged, borrowed, or purchased from record stores. (I took down the one of Prince before he came.) I wasn’t really interested in posters of the standard teen heartthrobs, actors, or even pop singers. All of my posters featured musicians like Earth, Wind & Fire, Stevie Wonder, the Jacksons, Parliament-Funkadelic, James Brown, and every Motown artist you could think of. I had no idea that I myself would be on a poster in someone’s room one day. I had no desire for fame. I just loved being surrounded by the faces of all my favorites. By this time, music was far more than a hobby or a means of paying the bills. Music was my life. The rest of the room was all about the sound. Inspired by Pops’s office, I had my collection of LPs and a piano, bass, and guitar along with virtually any percussion instrument I needed. I’d harbored dreams of writing my own songs, so I invested in the latest recording equipment, including a reel-to-reel four-track and a huge stereo system. On days off I’d record myself and listen back—my first attempt at being more than a player. Musician friends as well as Prince often came by our house to jam for hours. It didn’t hurt that he was beautiful to look at. Ever the workaholic (like me), he locked himself away in studios all over the country to continue to craft material for his next few albums, most of which were destined to go gold. I was thrilled for him and enormously proud of my new friend. I, too, kept working steadily, fulfilled and happy by gigs and tours, playing whenever, wherever, and with whomever I could. I was getting more and more studio session work as well. When Quincy Jones called me in to provide percussion on a Michael Jackson song, “Don’t Stop ’Til You Get Enough,” which would soon be the number-one hit from his Off the Wall album, I contributed the distinctive percussive sound. It was the perfect song title for my pace at the time—I wasn’t stopping, and I was nowhere near getting enough. We were going after a particular sound on that number, and after trying various instruments I ended up putting water into a glass bottle. Once I’d pitched the key, I tapped it with the metal beater from my triangle. If you listen closely, you can hear that exact sound. I’m not credited anywhere—the recording process took so long and the engineers chopped and changed around so much of it that they forgot to put my name on the record—but it was cool to be a small part of such a great song. And I was thrilled to contribute to one of Michael’s tunes. He was one of the great entertainers and had become someone I enjoyed being around whenever possible. Continuing to record fervently, sadly my work schedule—coupled with Prince’s—meant that we didn’t get to see very much of each other for a while. For anyone else that might have been the end of a beautiful friendship, but Fate had something else. 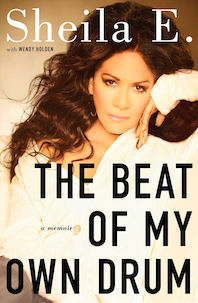 Excerpted from The Beat of My Own Drum: A Memoir, published by Atria Books. Copyright © 2014 by Sheila E.